Welcome To CL Green Inc. In 1992, we started in Central Florida trucking materials to jobs sites. After being on job sites seeing big excavators, and the work taking place started on residential and commercial land I knew this is something I wanted to do. We began our venture 1998 providing site clean-up, land clearing, grading. Next, we began purchasing bigger equipment to provide more services to the Central Florida area. We are now specialists in residential and commercial demolition, excavating, grading and rubble removal services, and many other services. We have with the experience and equipment that it takes to turn the old sites into a beautiful clean slate for something brand new. Servicing residents of Orlando and the surrounding areas of Central Florida, our 17 years of experience enable us to understand and give our customers options that best fit their needs, and budget along with keeping their future goals in mind. Whatever your demolition requirements are, CL Green Inc. is the demolition company in Orlando who can provide the most complete job in addition to a courteous and professional attitude. Do you have a demolition project, excavating or grading job in mind? We strive to be the demolition company in Orlando that encourages you to make sure the job is to YOUR complete satisfaction! We live for demolition. There is nothing better than tearing down the old and giving you a great start with something raw, and brand new. Generally speaking, demolitions in Orlando are quite simple, only requiring equipment like a loader, excavator, or small dozer. On the other hand, some demolition jobs call for the use of larger-sized equipment which we are fully capable of handling. All these tools are used to pull down, collapse, and knock over a building so it can be hauled to the dump. CL Green has all the right equipment to ensure your demolition project is done correctly. If our loader or excavators can’t handle your job we’ve got contacts to get the equipment needed to handle your project in Orlando. Superior work ethic and attention to detail is what sets us apart from the others when it comes to demolitions in Orlando. The owner is on every job site and personally oversees each and every project. You don’t have to settle for a impersonal bland experience-don’t wait forever for the demotion team to show up at your door, or for unfriendly, inexperienced workers to arrive and leave the job unfished or not to your complete satisfaction. CL Green Inc. strives to meet and exceed each customer’s expectations, starting with our owners and moving all the way down to each member of our team. Whether you run a small business or a big company, it’s clear that you need to have a passion for what you do. We strongly believe that our job sites show a picture of what the finished project should be. Each and every job is completed to core value of our belief in our dedication and hard work. We also perform all work with our own, specially trained personnel. This means that our clients can expect us to be the excavation and demolition company in Orlando to get the job done on time and within budget. Most importantly, CL Green Inc. has established an outstanding safety record and rigorously conforms to all OSHA rules and regulations. All of these elements combine to make us an excavation and demolition company in Orlando the locals can rely on. We are an emerging leader in compliance for safety, environmental regulations, and the most reliable source for your specialized demolition and excavation needs. We are certainly a demolition and excavation service in Orlando to consider for your next project. On the surface, many demolition, excavation and grading companies look the same. However, if you dig around a little bit, you’ll discover that CL Green’s reputation for handling the toughest jobs quickly and cost-effectively is becoming widely known throughout the Central Florida area. In part that’s because we have the proper equipment. Mostly, it’s because of our experienced operators and the underlying value that comes from our commitment to being the demolition company in Orlando who will work on your residential or commercial project as if it’s our own. With over 27 years of combined experience, we can offer a competitive proposal, a successful plan of execution, and a satisfaction guarantee for all your residential and small commercial projects! CL Green’s owners, who began their career in the field themselves, guide each project and stay involved until everyone is satisfied with the results. For us, above and beyond is the standard, without any exception. It’s what sets us apart from any other demolition or excavation service in Orlando. 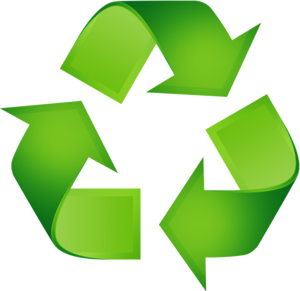 Go Green With CL Green Inc.
We are a green company: We recycle concrete; we scrap metal, trees to mulch in a conscious effort to do our part in helping save the planet. Demolitions in Orlando can be time-consuming and could actually harm the environment if not done correctly or if the proper steps aren’t in place to ensure a healthy and Earth-friendly project. You would be surprised how many companies out there aren’t environmentally friendly, so do some research before choosing the demolition and excavation service in Orlando for your next job. A little thought can go a long way. We serve central Florida mostly, with jobs at Jacksonville, and Tampa, and Cocoa Beach. Please take this time to visit our site, view some photos, and learn firsthand about how we can help you complete your project beyond your expectations. © CLGreen Inc. All rights reserved.